The Cloud is becoming more accepted by business. Provisioning speed, combined with reduced startup costs and demand elasticity are now well understood by IT departments. And this is tipping the balance towards cloud adoption. It is quite painless to stand up a host on Amazon’s Elastic Compute Cloud (EC2). And one can then install the licensed software that used to live in the company’s data center. Alternatively, most software vendors are now offering off-premise installations so that data center build-out can be avoided. But thinking of the cloud as a cost savings play is missing the point. By installing your company’s software on the Internet, you’ve opened a whole new set of possibilities that didn’t exist when it was trapped inside the LAN. The software can now become a collaboration portal; an on-ramp for customers that expresses your company’s brand and increases customer affinity. Such a portal can provide self-service which affords convenience and lessens the need for call centers and other customer support. Does the software express your company’s brand? You invest a lot in building your company identity and your software should reflect your brand, not the software vendor’s. Can the software system provide access to customer data in a natural, secure way? Are there methods to partition data so that only those with a business need can access or modify it? You may need to create multi-dimensional “access-maps” that provide customer and employee specific data views. You should insist that the software support this. Does the system have a flexible method to allocate functions to users? Many systems provide a bewildering array of menu-picks, buttons, and hyperlinks that lead to confusion and costly user training and support. You should insist that the software you adopt be intuitive and easily tunable to a particular user’s role or function. More and more businesses are harnessing the power of the Internet. 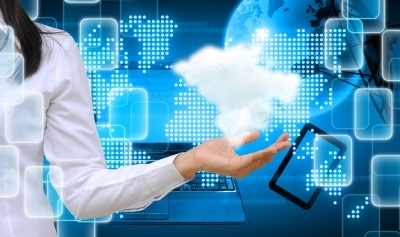 As aging software systems are refreshed, the cloud is now being considered as a viable option. So when you are ready to make the move, I urge you to think of it as a way to increase customer affinity and promote your brand. The Cloud: Don’t Miss the Real Opportunity.